Hand Drumming targets certain areas of the brain that lead to relaxation, concentration and healing on many levels. Studies have shown that playing drums causes the brain's electric and chemical functions to charge and act upon the human body causing many types of healing. MRI and PET scans have shown that all musical activity helps, but drumming has the most effect. We take the deeply rooted, genetic connection humans have with music and combine it with the time-honored tradition of many types of drumming. 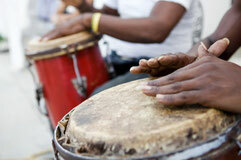 We focus on rhythms from Africa, Brazil, and Haiti and Cuba. Our universal love stems from the concept that drums are thought to be one of the oldest forms of music in the world and are a celebration of our own bodies and human ancestry. There are no classes listed at this time. Please check back with us later. This page will be updated soon. We will be starting up Soon. If you are interested and have children 3-5 or 6-8 years, let us know your interest. Send Alan an email here>> We are still looking for space for this class. If you can help out, let us know. Let us make your musical instruments better than new! Learn to play, get good and create community with us. Our music school is traditional African. Africa and her rhythms are alive for all drummers...right here in Boston! NEW! 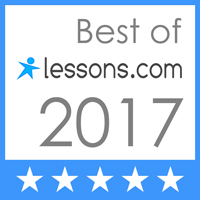 Day and Evening Hand Drumming for Beginners - Adults and Kids - many cities and locations near you. Drum rentals available. Join us!